After falling just short of pulling in a Micro Games gold medal in 2014 the desire to be crowned Micronesia’s best has only made the men’s team hungrier. But hungrier in a figurative sense as the team has lost a large amount of weight throughout their training; ranging anywhere from 13-25 lbs. The idea behind the cut is simple. And during ‘hell month’ (final month of training), the team is forced to treat every practice session as a live competition. 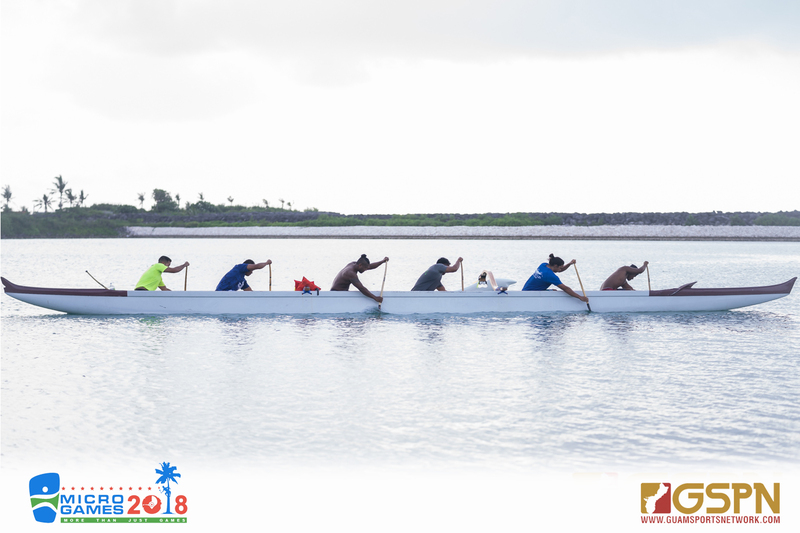 The team will be competing in two local races before heading to Yap, and are set to begin their leg of competition on the 18th. The men’s team will be competing in the 500m, 1500m and 16-mile long distance. Coach Palomo has a good feeling his team is going to hit their highs come Yap’s races and they have their eyes locked on a gold medal. “We’re shooting for a gold medal and we don’t plan on settling for anything less,” added Palomo. A strong level of commitment and a solid foundation of chemistry is guiding Guam’s National Paddling ladies toward a successful outing in Yap. “Each of these ladies come from a different club. This year has been the most diverse year in club participants. We’ve seen on video from ‘Day 1’ compared to now and there’s a big difference. I have a team of amazing women who are ready to compete and represent the island,” said coach Joshua Duenas. The ladies hit practice five times a week with one of those days land-training and conditioning. The Hagatna waters in Paseo is their main venue for training, which includes lengthy running sessions with very little breaks in between. Even though Guam’s National Paddling ladies don’t have many teams to compete and gauge their times with, coach Joshua Duenas has been keeping up with competition times of visiting paddling teams from the outer islands and his group has been outperforming the off-island competition. Guam’s ladies will be competing in the 500m, 1500m, 13-mile distance races. The desire to win gold stretches all across the women’s roster, but they aren’t satisfied with just bringing in one. “Winning a gold to us is very important. We want to up our last performance out there and sweep all our races, but that’s being optimistic,” chuckled Palomo.